Well I celebrated my 3rd wedding anniversary yesterday. That's right, I was one of those crazy people planning a wedding for 07-07-07! It was great actually, no problems, no delays, perfect. 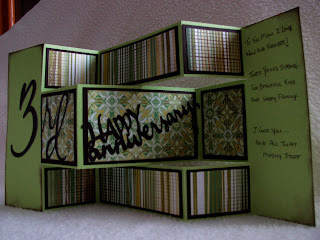 I made my husband an Anniversary card - I did it in a new technique that I was trying out... 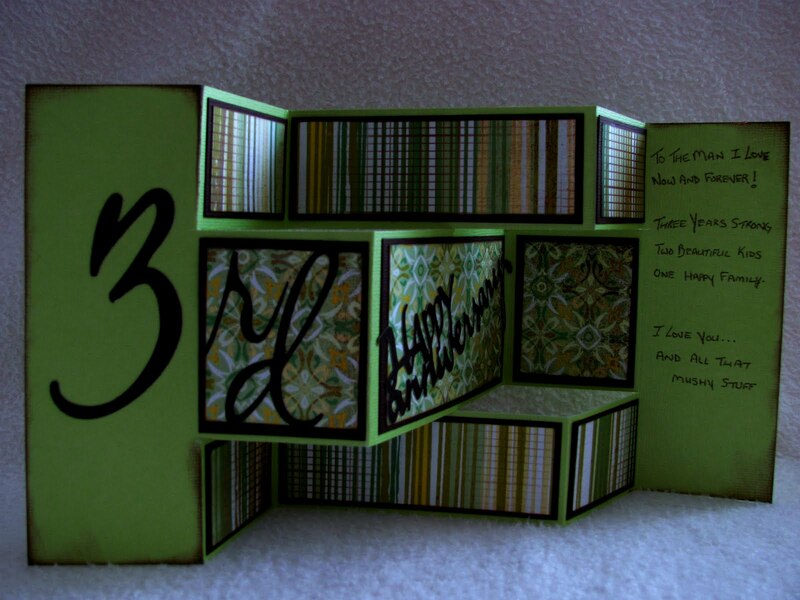 I'll show you how I did it :o) It's called a tri-fold card, and it is SO SIMPLE to make; yet looks so damn cute and detailed. 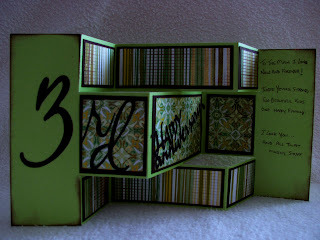 Cut your cardstock at 5 1/2" (so you can make two cards from one piece of cardstock) 5 1/2 vertical x 12 horizontal. Measure down 1 1/2 inches from the top and the bottom and cut from the 2 inch score line to the 10 inch score line. 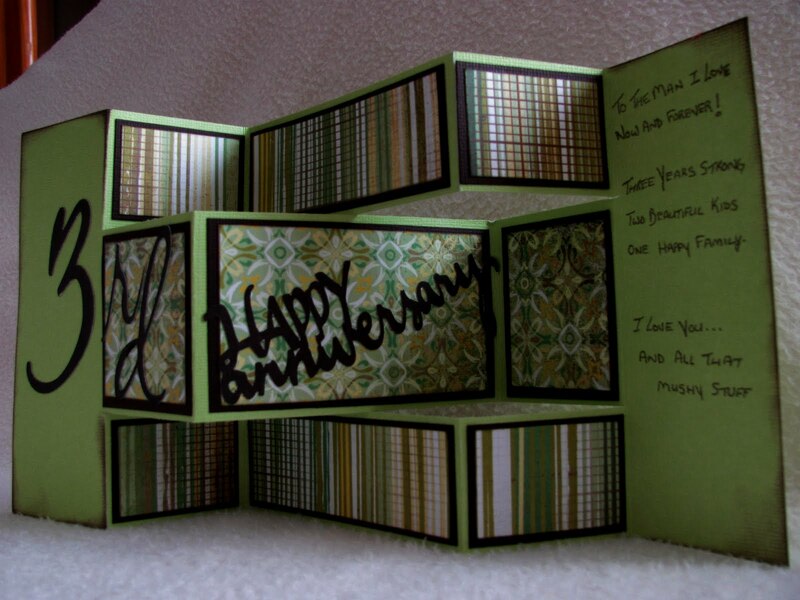 Fold the card into an accordion style. The smaller top and bottom sections are folded opposite to the larger center section. It is probably easier to look at the photo and try to follow it. Decorate the card - This is the fun part! Hey there! I'm loving your blog and the awsome tutorials! TFS!!! Thank you Diane and Jolaine !